The star has been cast as The Caped Crusader alongside Superman in the sequel to 'Man of Steel' and has been perfecting his superhero voice on his actress spouse. When asked if she has heard him practicing for his role by MTV News, Jennifer replied: "I hear every voice." 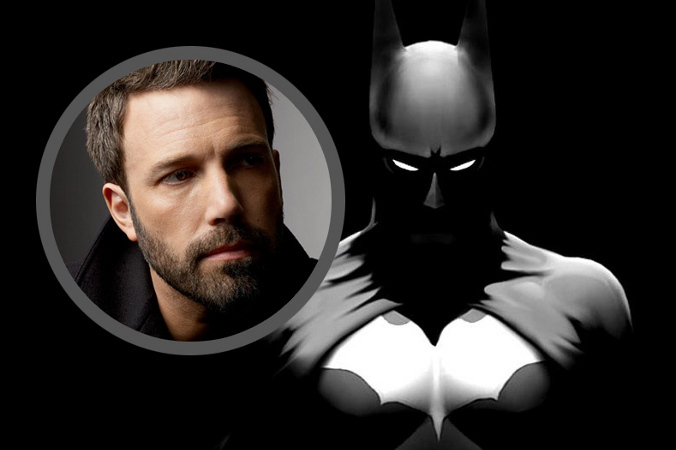 Ben has proved a controversial choice to play the DC Comics character but Jennifer is confident he will bring something new to the famous role - most recently played by Christian Bale in 'The Dark Knight' trilogy. She added: "You know, I was excited for him [being cast]. I was excited because he had a real take on what he wanted to do, and you know, I have to say, my husband is a pretty great storyteller himself, and I'm excited to watch him do it." Ben, 41, has long been a huge Batman fan, and even installed a revolving bookcase in his house like the fictional character's alter-ego Bruce Wayne has to get to his Batcave. Close friend Kevin Smith explained: "He brings me into the room and goes, 'Look at this'. There's an office room and this beautiful bookcase - he reached under and he clicked something and all of a sudden the bookcase opened. "I was like, 'No! You built a f***ing Batcave?' And he was like, 'No I built a Batcave entrance!' When you went in behind the bookcase it was a panic room."